Hepatocellular carcinoma (HCC) is a frequent form of cancer with a poor prognosis and with limited possibilities for medical intervention. 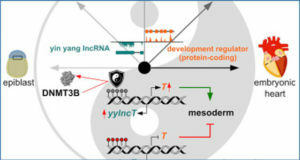 Recent evidence has accumulated that long noncoding RNAs (lncRNAs) are important regulators of disease processes including cancer. 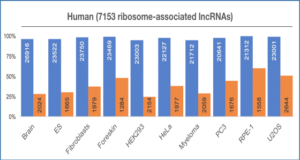 Chromatin remodeling in cancer cells may result in an unusual expression of lncRNAs and indeed it has been shown that more than 7000 unannotated lncRNAs are expressed in HCCs. Researchers at the Hannover Medical School identified a novel long intergenic noncoding RNA, Linc00176, that plays a role in proliferation and survival of HCC. 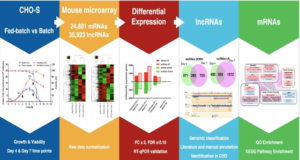 Linc00176 regulates expression of more than 200 genes by the sponge function for tumor suppressor miRNAs, miR-9 and miR-185. Linc00176 is expressed at a high level only in HCC, and is activated by Myc, Max and AP-4 transcription regulators. Myc also upregulates miR-9 and miR-185. 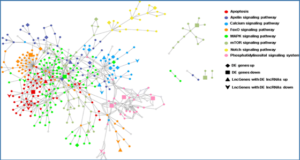 In Linc00176-depleted HCC, these miRNAs were released from Linc00176 and downregulated their target mRNAs. 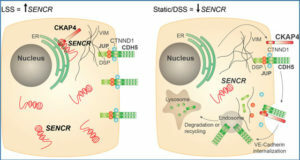 Thus, depletion of Linc00176 disrupted the cell cycle and induced necroptosis in HCC via released tumor suppressor miRNAs. 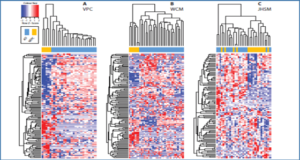 These data indicate that atypically expressed lncRNAs may be useful targets for cancer therapy. (a) Expression of Linc00176 in differentiation grade G1–G4 HCC and normal liver (n=50) samples. Data obtained from the cancer genome atlas (TCGA) (https://cancergenome.nih.gov/) shown as box blot. 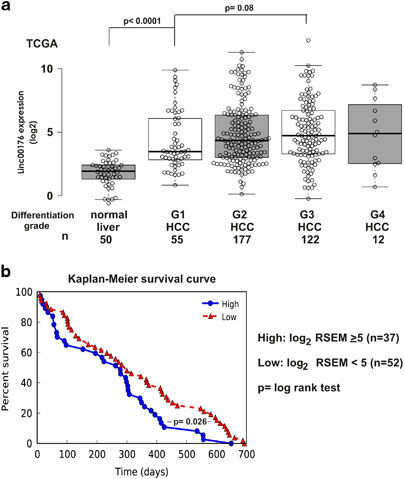 P-value: t-test between total G1 HCCs and 50 normal liver and G1 and G3 HCC. (b) Correlation between Linc00176 expression level (log2 RSEM (RNA-seq by expectation-maximization)>5 (n=37): log2 RSEM <5 (n=52)) and survival time (within 700 days) is shown using Kaplan–Meier estimation (Log rank test: P=0.026).